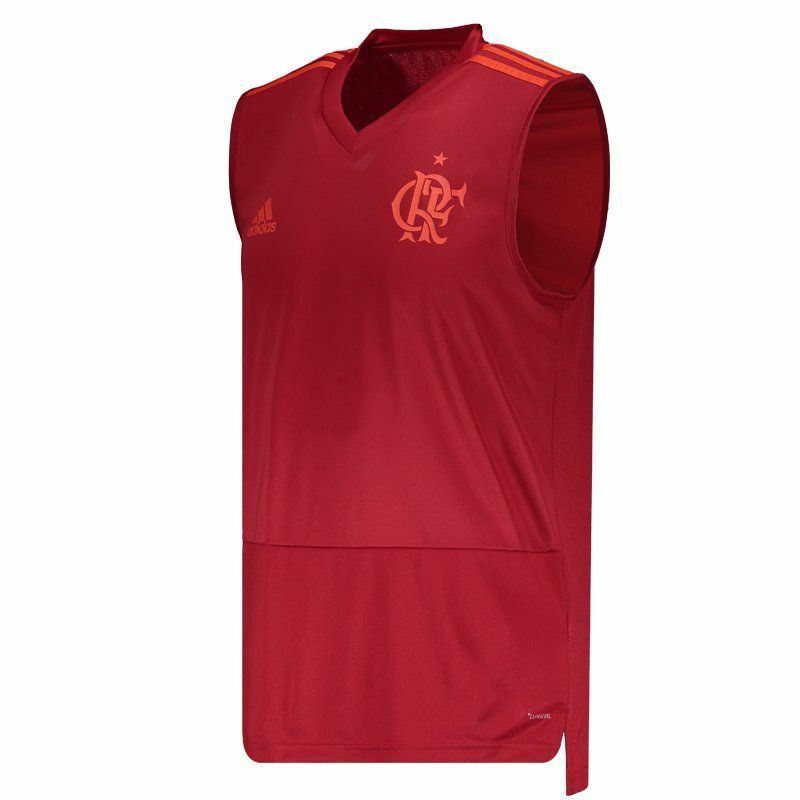 The 2018 Flamengo Training Sleeveless Shirt, produced by Adidas, offers name and number customization, ideal for Mengão fans to show their love for the team in total comfort and style. With a more accurate modeling, the piece is made of polyester. More info. 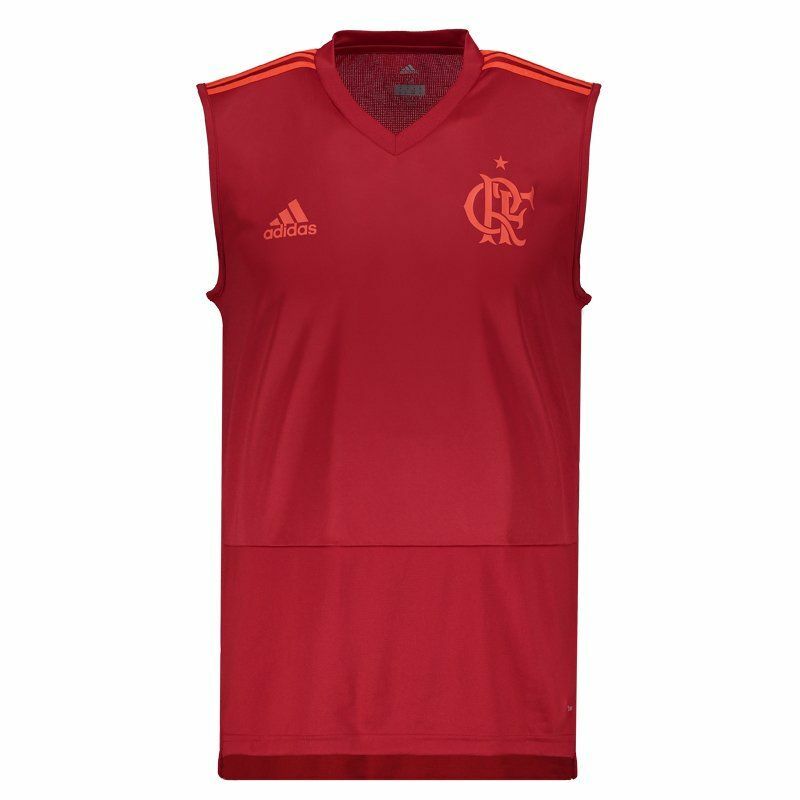 The 2018 Flamengo Training Sleeveless Shirt, produced by Adidas, offers name and number customization, ideal for Mengão fans to show their love for the team in total comfort and style. With a more accurate modeling, the piece is made of lightweight polyester and features Climacool® technology, a ventilation system specially engineered with materials and components which will provide a superior moisture management, enhanced evaporation and better breathability. 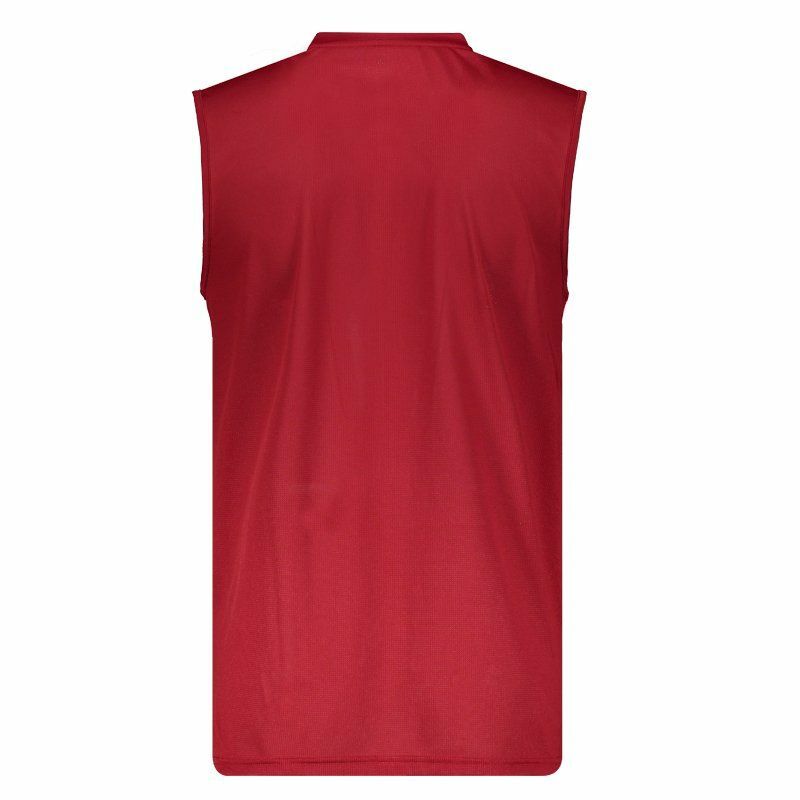 In addition, it features a red color design and brings details in a lighter shade of color. 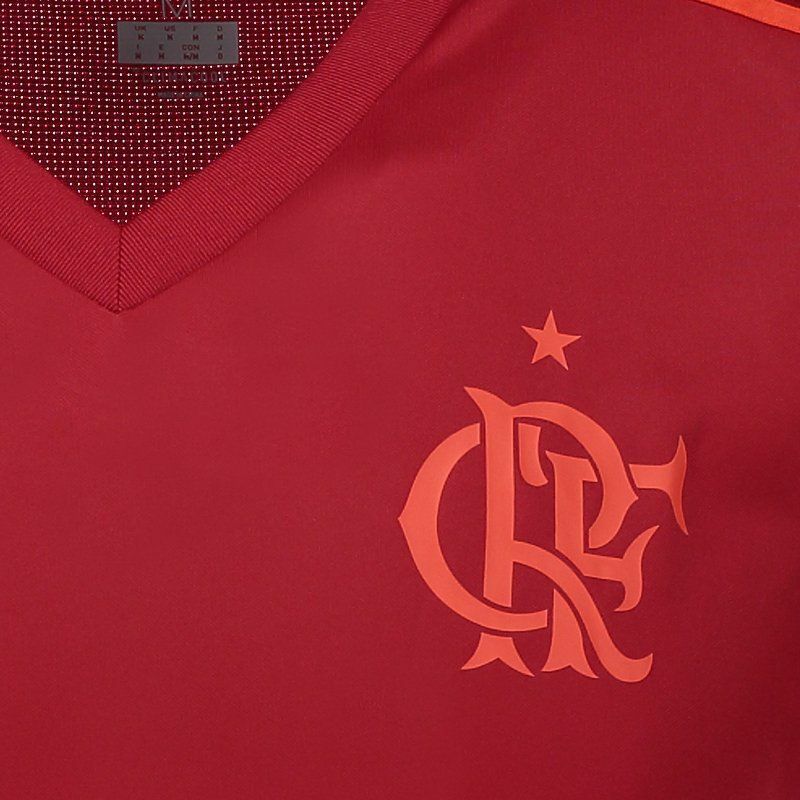 In the chest region, the logo of the supplier brand appears stamped, as well as the team's badge. Finally, it has differentiated trim on the back, being slightly larger.